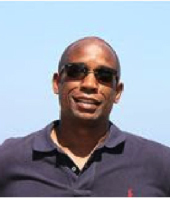 Serge has worked at the New York City Department of Education (NYCDOE) for the last 13.5 years in various positions supporting partnerships between schools and community based organizations. He also has 10 years of private sector experience before his career at the NYCDOE; three years at PriceWaterHouse Coopers and 7 years at various Wall Street firms (Goldman Sachs, Barclays, Deutsche Bank). Serge attained his Bachelor of Business Administration in Accounting from Adelphi University in 1988 and recently attained a Master of Science in Urban Policy Analysis and Management from The New School – Milano School of International Affairs, Management, and Urban Policy in August 2016. Serge currently lives in Brooklyn.